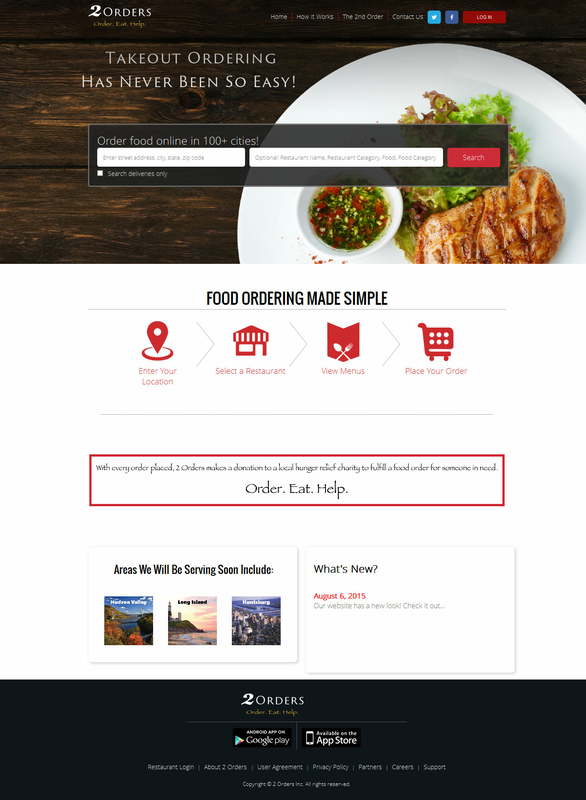 Create an online multi-restaurant ordering system that really delivers! Enable your users to complete orders for takeout, delivery, catering and even make reservations with participating restaurants. 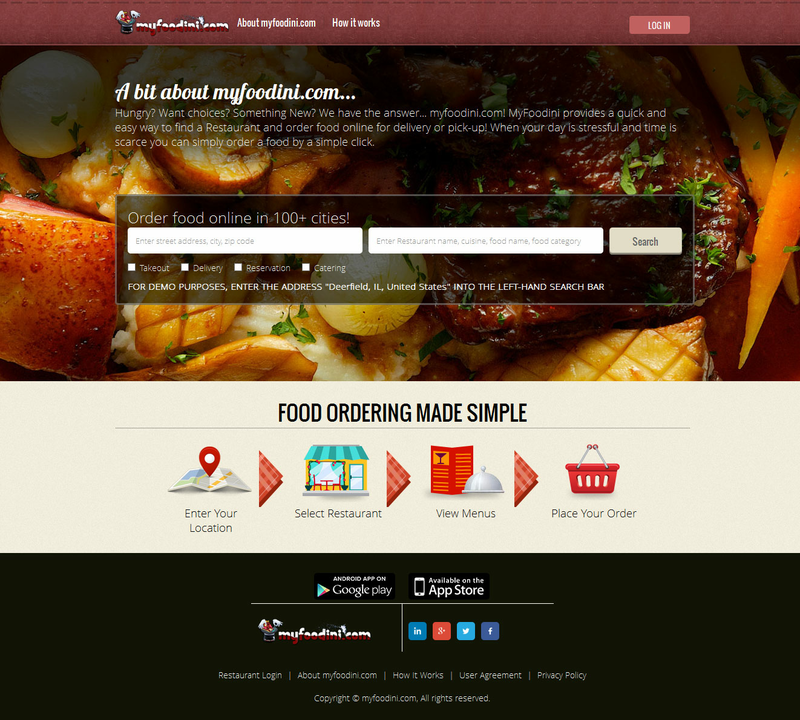 Any single restaurant can setup online ordering through the use of iScripts NetMenus. Here customers will send orders and payments directly to your restaurant. The main benefit of this model is that a restaurant owner can increase orders placed and generate additional revenue through improving their marketing reach by setting up online ordering. Also, the restaurant can now compete in a highly competitive market. iScripts NetMenus can also be used for a restaurant that has multiple locations. The software can be setup so that orders can be routed to the closest location. This model is advantageous when a chain of restaurants wants to increase production and generate additional revenue by creating an organized network.This model is highly competitive and allows restaurants to service a wider region in order to generate more revenue.The owner or administrator can setup online ordering for as many locations as you wish.In this model, the user as well as the site administrator will experience all of the same great features available on iScripts NetMenus. GrubHub offers an online ordering system for customers to order take out or delivery at various restaurants in their area. Users have the option of selecting the category of restaurant they would like to order from or choose a restaurant based on creating a reservation, ordering takeout, or delivery. This model is mainly beneficial because you can generate revenue through the orders from restaurants and the site is all automated. iScripts NetMenus is a total online ordering solution that allows you to instantly create an online ordering system for a single location restaurant, multiple location restaurants, or even an online food court similar to GrubHub, Seamless, or Eat 24 Hours.. This robust restaurant software is feature-packed and fully customizable to meet your services! Provide your users with the ability to place reservations for dine-in or orders for takeout or delivery. Catering menus may also be listed for establishments that choose to offer catering services. Find out valuable feedback about menu items and from your customers! Accept payments by credit card or cash on delivery, based on restaurant preferences. You can integrate online ordering to your existing web site or iScripts Netmenus will create a beautiful restaurant website. The powerful administration area allows you to easily manage restaurant information, items, and menus while managing plans, memberships, categories, subcategories, financial and usage reports, directories, images, coupon codes and much more! iScripts NetMenus makes accepting online ordering for your restaurant easy and hassle-free. Once you purchase the online ordering script, you can customize the script by uploading your logo, site content, and additional images. If you have various locations, you may add them. You can even create coupon codes in order to promote your restaurant. You can then begin fully marketing your restaurant. You can even start an online food court of multiple restaurants and create a network of online ordering. After completing the one time purchase of iScripts NetMenus, the software needs to be installed on your server. After installation, the site administrator has total control over your online ordering software and website. If you need assistance, we can install the software for you on your server. iScripts NetMenus is an open source PHP online ordering software that is not encrypted. This allows you to be able to fully customize your online food court or restaurant site to support your businessâ€™ needs at any given time. If you would like to make modifications including changing functionality or adding other features, you can either use your own PHP programmer or request a quote from iScripts. Promote and market your online food court or restaurant with the built-in newsletter and coupon code functionality. WildFire requires you to log in to order food and pay via this application. 100% of the payments go directly to you. WildFire, the most happening and best eating joint of Chicago. 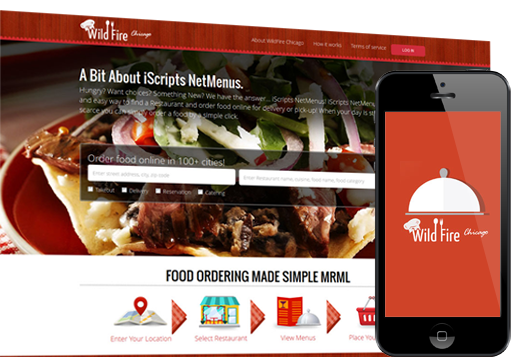 Kitchen orders are now swiftly managed using the new WildFire for Restaurant App.